HacDC’s biohacking group has developed a new, ultra-low-noise biosignal amplifier and released it under the GPLv3. 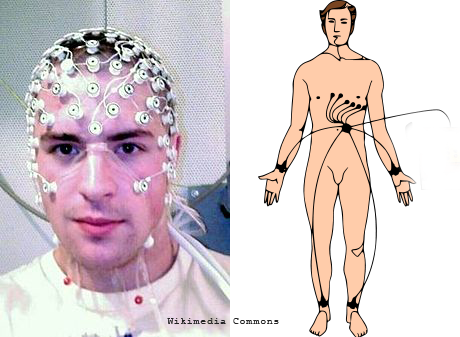 The Mirage335 Biosignal Amp makes brainwave (EEG), heart (ECG), and muscle (EMG) detection all possible without reconfiguration. This system is geared for maximum performance close to theoretical limits. Ideally, the lower noise floor allows us to confirm the presence or absence of weak biosignals, especially electroencephalography signals, when they become difficult to detect with other systems. Analog (direct-to-scope) and USB (direct-to-computer) outputs are provided. USB functionality is provided by an Arduino compatible ATMega32U4 and LTC2440 24-bit Analog-to-Digital converter. Safety oriented architecture. Multiple isolation barrier and surge suppressor layers. 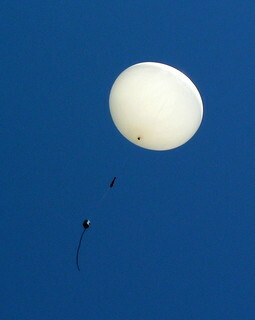 Active electrodes, wet and dry designs. Lowest noise amplifiers, based on new thermal noise research. Future proof. Modular SATA data cable architecture provides smooth upgrade paths. Isolation amplifier. Safe, high-resolution analog output for lab equipment (eg. 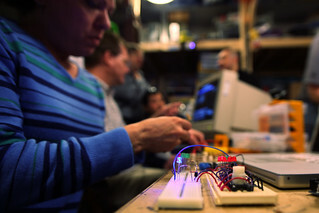 oscilloscopes), sound cards, microcontrollers, and ADCs. USB support, based on ArduinoDAQ (ATMega32U4 + LTC2440). Efficient, high-order IIR biquad filters notch out 60Hz, 30Hz and high-frequency noise, right at the embedded microcontroller. 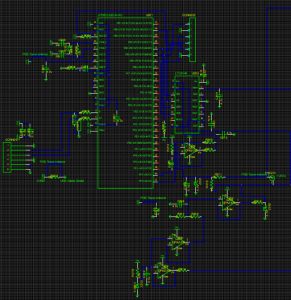 Resistor programmable gain. 13000x default. Usage instructions are available on the wiki. Additional documentation is available on the project’s webpage. Project Byzantium ported to the Raspberry Pi! We opted to use Raspbian because it seems to be the more popular of the two [commonly installed Raspberry Pi Linux distributions]. Also, the packaging process for Debian was better understood than that for Arch Linux by the Project Byzantium team. We’re in a rapid development cycle so we wanted to hit the ground running and accomplish as much as possible in the available time before the first milestone. Congratulations to The Doctor, Ben the Pyrate, and haxwithaxe! 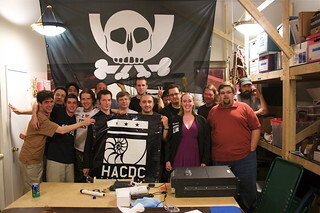 HacDC is five years old! acquired 501(c)3 nonprofit status, meaning your donations are tax-deductible as allowed by law, so donate now! 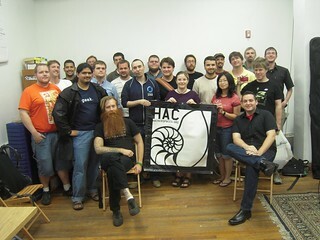 We owe an enormous debt of gratitude to founders Nick Farr, Andrew Righter, Alli Treman, Eric Michaud, et al for creating HacDC back when U.S. hackerspaces were few and far between. 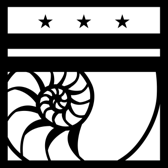 And since then we’ve thrived thanks to the support of countless members and friends who’ve given generously of their time, labor, and money to make HacDC an awesome community. Please consider supporting us so we can be around to foster curiosity and creativity in technology for the next five years.